At Aqua Pure Solutions, our goal is to provide soft, clean water for every household. 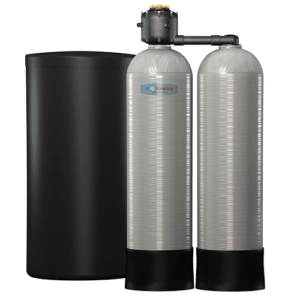 With a wide range of products and service options, we’re certain we can find a water softening system to fit your budget. If you’re ready to make the switch to soft water, ask us today. Kinetico Series Filter Softeners use the power of kinetic energy to soften, purify, and eliminate odors from the water you use every day. Kinetico’s one of a kind system offers your family a safe, clean, and reliable supply of softened water without any complicated processes or high maintenance technology. Your family relies on clean water, and the AquaKinetic water softener delivers just that. The system’s patented non-electric valve and dual tanks are online 24/7, so you don’t have to worry about adjustments, repairs, or replacements. Kinetico’s electric Powerline water softener is the clear choice for removing and eliminating buildup, stains, hard water spots, mineral deposits, and soap scum. With a simple 12-day calendar clock, you can set your water softener to automatically regenerate, leaving you worry-free. Aqua Pure Solutions is located on I-40 in Kingston Springs, TN. Our wide service area covers all of middle Tennessee and west Tennessee as well as southern Kentucky. When it comes to our products, we only carry the best. If you’re looking for a new water softener system, or have other water treatment needs, reach out to us today!